What is a Parking Lot? Using a Parking Lot with your meetings will help you to keep your meeting focused and on track. To have an effective meeting you create an agenda so participants can prepare all topics. Problems arise when someone brings up a new topic. The person who brings up this new topic, feels passionate about it and wants to discuss it. This leads to useless discussion because nobody else is prepared and your meeting may run late, because you did not schedule for this additional topic. To keep the meeting on track the chairman needs to be firm and not permit this new topic in the discussion. Problem is, that the person who brings it up will feel ignored and will not be focused on the scheduled discussion. This person may even sabotage the rest of the meeting. A Meeting Parking Lot can help. You simply place a new topic that comes up during the meeting on the Parking Lot. When preparing your next meeting you check the Parking Lot to see if there are any issues that were brought up in a previous meeting and you simple add them to your new agenda. *Place a new topic on the Parking Lot. Your meeting will stay on track, important issues will not be forgotten and the person who brings it up will feel that he/she is taken seriously. 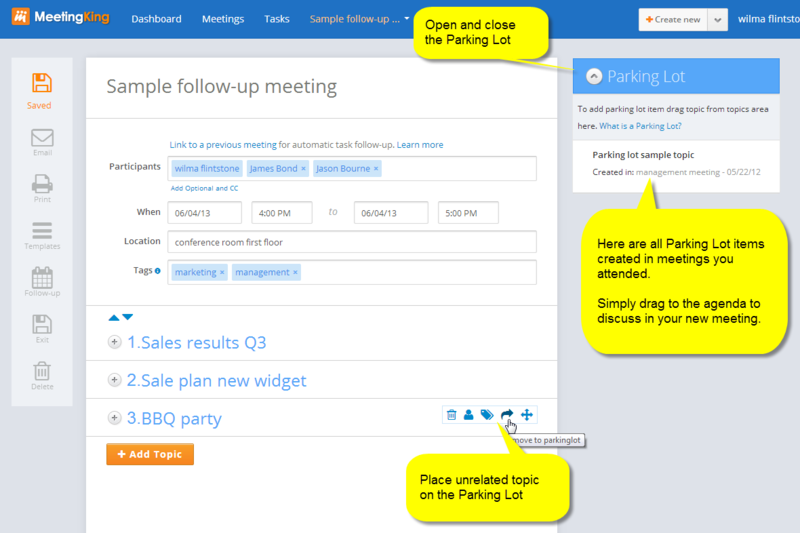 How does the Parking Lot work in MeetingKing? At the right top of your note taking page is the Parking Lot. You can open the Parking Lot with the icon in the Parking Lot header. You can add an item by simply dragging a topic from your agenda/note taking area onto the Parking Lot. When you prepare a next meeting and you want to add a Parking Lot Item to your next agenda, simply drag and drop it on that new agenda. 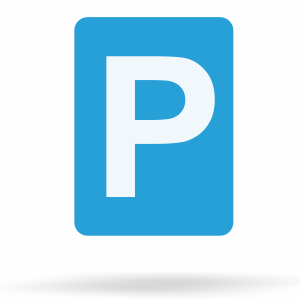 Notes, decisions, tasks and subtopics are not visible in the Parking Lot, but they are there and will be moved to the agenda of your new meeting. The list of topics in the Parking Lot is different for each user and includes all Parking Lot items of all meetings that you attended.